Buy chili / celery / Onion vegetable cube cutting machine in China - Jinan Joysun Machinery Co., Ltd.
SUS304 Stainless steel, Knife is made from imported material (Switzerland), treated by special technique. 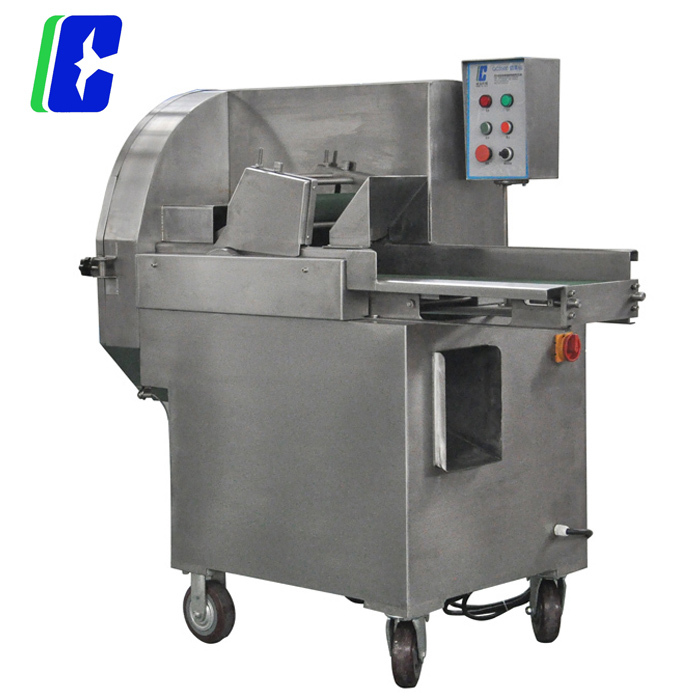 Two kinds of knives make the machine could be used as slicer and dicer. Could be adjusted according to different needs, smallest size is 1mm. 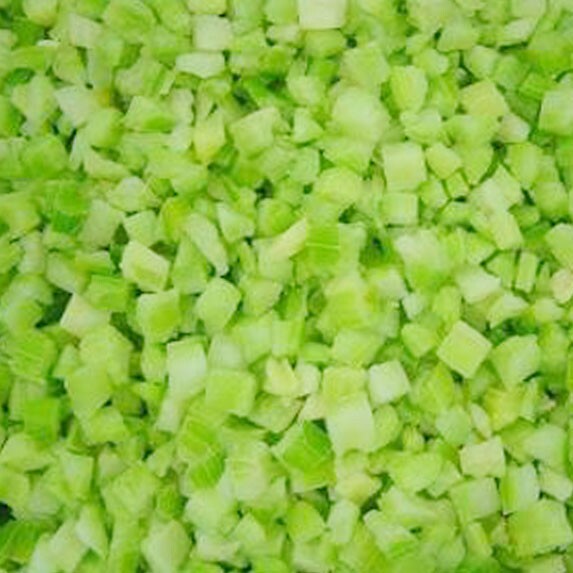 Long-leaf Vegetables such as Chives, Celery etc. Frequency transformer control the speed of the conveyor. 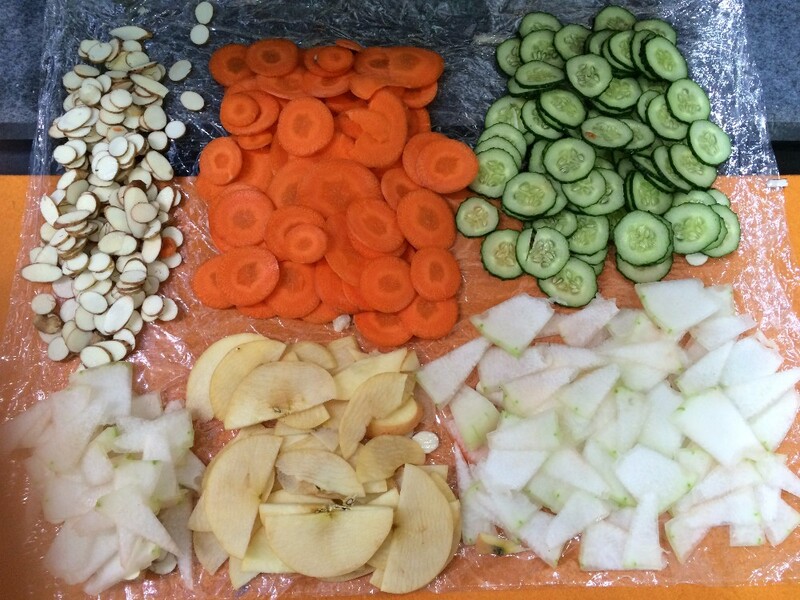 QC3500 Vegetable Slicer adopts eccellent SUS 304 stainless steel,The frame surface is processed with zinc coating. The machine is composed of frame,transmission device,cutting system and electronic control system. 1. Contorlled by converter, the knives rotates steadily. The cuttung length is adjustable(1-70mm). 2. 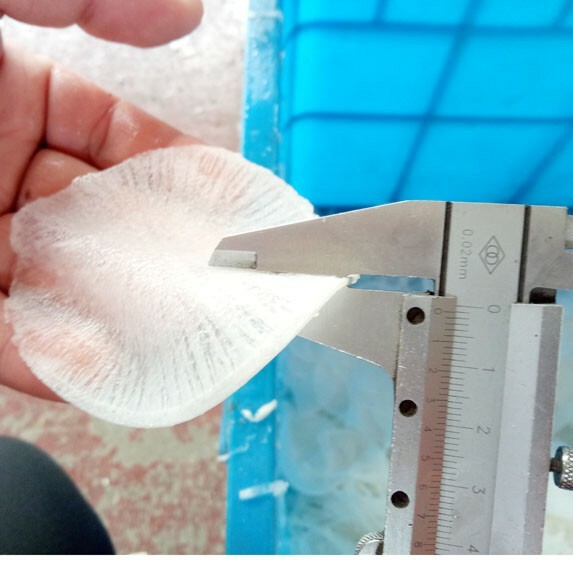 The machine is easy to clean and maintain, The key parts are processed by CNC center, which not only wnsures the precision but also prolongs the service life. Hebei ChengYe Intelligent Technology Co.,Ltd. ( Equity Code: 838358) was founded on 2007. 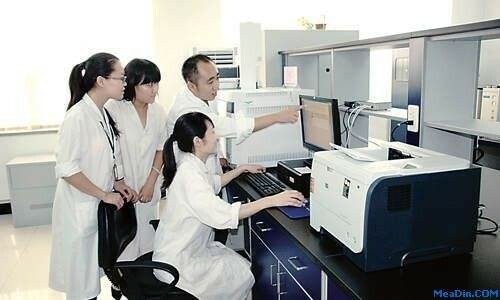 Located in Economic &Technical Zone, Shijiazhuang City, Hebei Province, our company is specializedin researching and manufacturing food processing machines and non-standardequipment. Our machines are widely applied in meatprocessing industry, wheaten food and quick-frozen food processing industry.The main products are three-dimensional Frozen Meat Dicer, High-speed BowlCutter, Smokehouse, Vacuum Refrigeration Tumbler, Vacuum Flour Mixer, NoodleProcessing Line, Shaomai-making Machine, Vegetable Processing Machines etc. 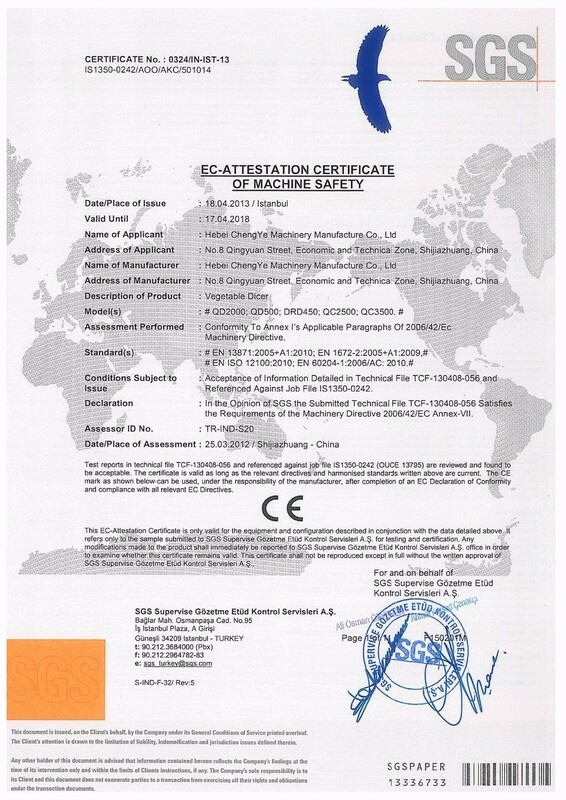 Themain products have passed CE Certification, sold to Europe, Oceania, America,Africa, Mideast and Southeast Asia and won good reputation among customers. 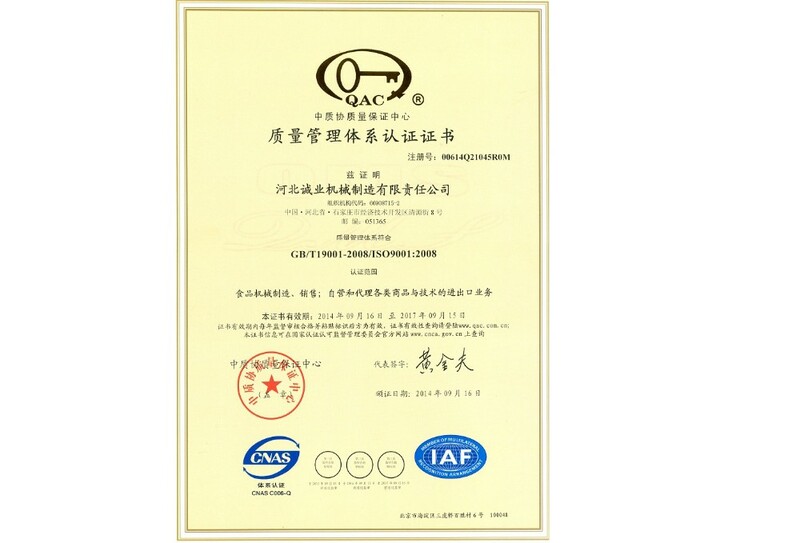 Passed the ISO9001:2008 quality system authentication and CE authentication. Anything wrong with the machine, we will reply within 8 hours. Technicians will be sent to your working site if you can not solve it under our guidance. 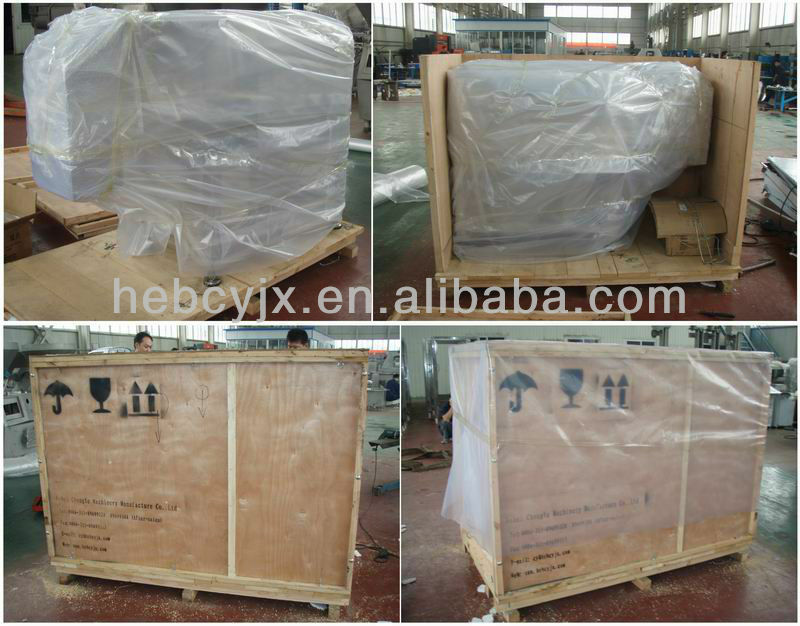 Packing Details : The normal package is wooden box. If export to european countries,the wooden box will be fumigated.If container is too tigher,we will use pe film for packing or pack it according to customers special request. A: We are factory.Hebei ChengYe Intelligent Technology Co.,Ltd. ( Equity Code: 838358) was founded on 2007. Located in Economic &Technical Zone, Shijiazhuang City, Hebei Province, our company is specializedin researching and manufacturing food processing machines and non-standardequipment. Q: Is it avaiable to visit your factory?